Vision, discipline, and commitment to innovation are the foundation of our success. We source our investments carefully, drawing upon wide-ranging contacts throughout the real estate, financial and business communities. We are open-minded in our approach and progressive in our policies, so that the spectrum of opportunity remains as broad as possible. Once a suitable investment has been identified, we are scrupulous in our due diligence and persistent in our pursuit. Our keen sense of the local and regional markets allows us to harvest underperforming assets at the most opportune times. The risk-adjusted return we can effectively achieve for investors has been, and will always be, our primary investment criteria. Toward that end, we have participated in many real estate asset transactions in diverse locations, achieving significant returns in a socially responsible manner in neighborhoods that were largely ignored by the investment community. Geographically, we have a preference for commercial office and multi-family properties in locations best suited to capitalize on our local knowledge and relationships. This would include the New York metropolitan area, although we will also utilize our diverse skills to consider opportunities in all major domestic markets. We are currently seeking opportunities that include redevelopment and adaptive reuse projects, restructurings, note sales, and ground-up development. Recognizing value before it is apparent is our core investment strategy. Our many years of experience and our understanding of the real estate market in which we operate enables us to create value at every stage of the investment cycle. From identifying markets and individual assets, sourcing capital and structuring partnerships, to creating and implementing development and redevelopment strategies, our execution delivers enhanced returns to our investors. Our integrated capabilities support this philosophy by reducing costs, increasing efficiency and improving tenant satisfaction, while protecting our clients’ and partners’ economic interests. The direct participation in, and supervision of, construction, management and leasing, provide greater cost control and afford deeper insight into how an asset is performing on a real-time basis. It also encourages asset-wide assessments, instead of facilitating fee-based decisions, to influence decisions and returns. In all our business dealings, we carry a deep sense of responsibility to our partners and investors and a self-imposed obligation to maintain the highest level of integrity. The tension between sound advice and self-interest becomes most evident on a day-to-day, decision-by-decision basis. When faced with such conflicts, we always place the interests of our clients and investors first. As a result, our history of success is not measured solely in investment return, but in the continued confidence and satisfaction of our partners, investors and clients. Cogswell Realty LLC, together with its affiliated companies, CRG Management LLC and Cogswell Residential (“Cogswell”), is an owner, manager, and developer of commercial and residential properties in the New York Metropolitan Area. Founded in 1996, Cogswell has acquired, directly or in partnership, over $750 million in real estate and have also supervised over $275 million in construction, rehabilitation, and redevelopment. Since its inception, the real estate professionals of Cogswell have had the opportunity to manage, lease, and consult for a broad array of institutional partners on a diverse range of asset types, including office, mixed-use, residential and retail. The hands-on approach is the hallmark of Cogswell has earned the respect of its investors, partners, and lenders, including City Investment Fund, Piedmont Office Realty Trust, Inc., NBA Players Association, KBS Real Estate Advisors, ASB Real Estate Investments, L3 Capital, RREEF Property Trust, Goldman Sachs, Lennar Partners, Lend Lease, Morgan Stanley, and Lehman Brothers. In 2012, Cogswell and Sierra Real Estate LLC , which is a wholly owned affiliate of the New York City office of Lee & Associates (“Lee & Associates NYC”), a national member-owned commercial real estate company with 50 offices in 17 states, integrated their respective property management operations to create a broader real estate operating platform. Together, we today manage over one million square feet of commercial office space, approximately 100 retail spaces, and 600 apartments throughout our growing management portfolio. Soon thereafter, the partnership rolled out a project/construction management venture, Sierra Development Associates LLC, which provides project/construction oversight services for assets under management, as well for third party client projects. 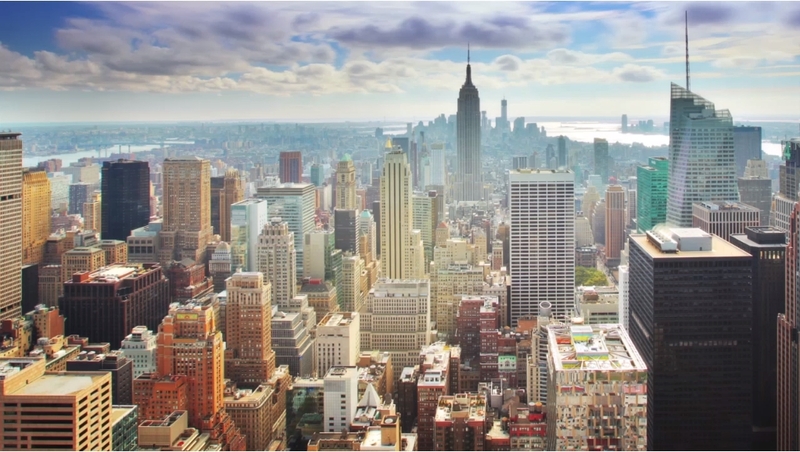 In 2014, Cogswell Lee Development LLC (“Cogswell Lee Development”) was formed to jointly pursue acquisition opportunities in the New York City Metropolitan area. This venture between Cogswell and Lee & Associates NYC completes the fully integrated platform that provides our investors with the critical value add to deliver enhanced yields for the assets we acquire. Notable commercial buildings under ownership by our companies include 215 West 125th Street, 55 West 125th Street, 875 Sixth Avenue, 12 East 46th Street, and, most recently, 183 Madison Avenue. Notable residential assets under ownership include 45 West 55th Street, 1125 Lexington Avenue, 1307 Madison Avenue, 971 First Avenue, and new developments - 345 Carroll Street and 150 Rivington Street. Since Cogswell’s inception, Mr. Stern has served as its Chief Executive Officer overseeing the daily operations of the real estate company. 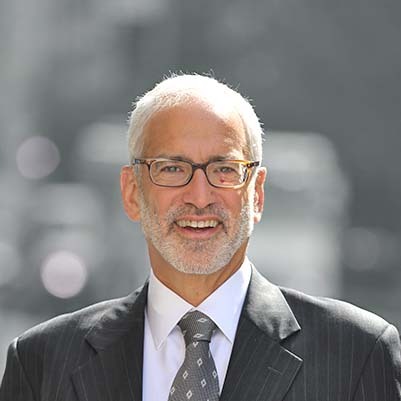 Mr. Stern’s vision, talent, and professionalism have underscored the success of Cogswell and contributed to the prosperity of its partners, investors, and clients. During the course of his 25-year career, Mr. Stern has served as partner/investor, advisor, broker, manager, and project executive for more than $2 billion in real estate. Among his many achievements are the acquisition and repositioning of New York City properties at 60 Broad Street, 270 Lafayette Street, 55 West 125th Street, 215 West 125th Street, 183 Madison as well as the acquisition and redevelopment of 150 Rivington Street and 345 Carroll Street in New York City and 744 Broad Street and 1180 Raymond Boulevard in Newark, NJ. He has participated in over 2.5 million square feet of Management and Leasing transactions as both tenant and/or owner’s representative, and has consulted for many notable firms, including, ASB Real Estate Investments, Piedmont Realty Trust, L3 Capital, RREEF Property Trust, City Investment Fund, Lennar Partners, Lehman Brothers, Ameresco, Archon Real Estate (a subsidiary of Goldman Sachs), J.E. Roberts and Co., and Morgan Stanley. A graduate of the New York University School of Law, Mr. Stern is a member of the Young Men/Women’s Real Estate Association of New York and a member of the board of the Association for a Better New York, Junior Achievement and the Churchill School Fund. As Chief Operating Officer, Eric oversees the day-to-day real estate operations of the company. As General Counsel, he ensures compliance with all of contractual, partnership and loan obligations, as well as coordinates and oversees all outside counsel in a wide variety of transactional and litigation matters. 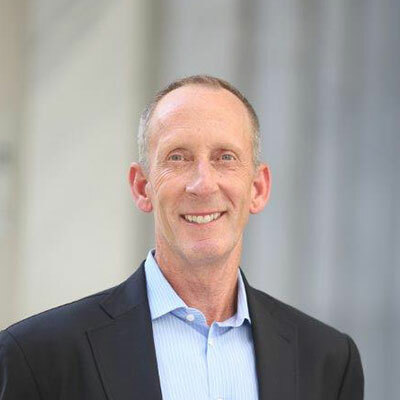 With his years of active involvement in the acquisition, ownership, and management of real estate, Eric contributes to all aspects of the company’s operations – including active participation with Cogswell’s acquisition affiliate, Cogswell Lee Development. With his vast commercial leasing experience, Mr. Sarner also attends to a majority of the commercial leasing transactions for the portfolio of properties owned or managed by the company. He has closed lease transactions amounting to several million square feet during his career, including the lease for the Harlem office of the former President of the United States, William J. Clinton. Eric holds the Bachelor of Business Administration from Hofstra University and the degree of Juris Doctor from Hofstra University. A graduate of Syracuse University’s School of Management, Mr. Jacobs’ primary focus is on acquisitions, development, leasing, and asset management. As project executive for the Cogswell portfolio of commercial properties in Harlem, New York, including its two largest privately-owned office buildings, Mr. Jacobs has worked closely with governmental agencies, including U.S. General Services Administration, New York State Office of General Services, and New York City Department of Citywide Administrative Services in structuring major lease transactions. He also has been involved with Cogswell’s residential developments, including the conversion of a 400,000 square foot office building in Newark, NJ into a 317-unit residential tower, and the construction of a 46-unit apartment building in Harlem. 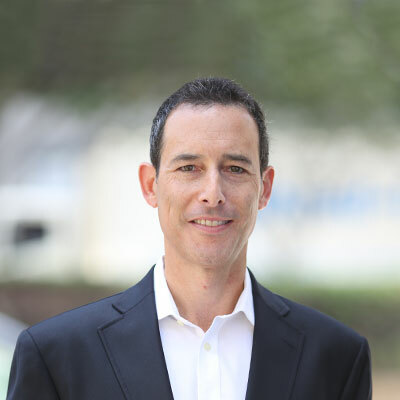 Earlier in his career, Mr. Jacobs worked for Price Waterhouse & Co. and a consulting firm specializing in real estate investments on behalf of European investors. For 12 years prior to joining Cogswell, he was Vice President of Acquisitions and Development for Rockrose Development Corporation, where he was involved with over $500 million of development and asset management of residential and commercial real estate, including three 500,000 square foot projects under New York City’s former 421-g Program. Mr. Jacobs is committed to the Harlem community. He sits on the Board of Directors of the 125th Street Business Improvement District and is an active member of the Harlem Chamber of Commerce and Junior Achievement. Our ability to sense value and gauge markets directs our approach to acquisitions, as we seek opportunities where our expertise can add value for our partners and investors. Our history of managing, leasing and advising third-party clients has strongly influenced our development discipline, enabling us to bring a fresh look and approach to creating value. We are particularly adept at instituting capital improvement programs to increase returns on investment. We continuously develop comprehensive, individualized marketing and leasing strategies for each of our properties to ensure investment strategies are fully realized and high occupancy levels are maintained, to generate returns. We approach each property with one key objective: to maximize its day-to-day performance and long-term value. Combined with our comprehensive management practices, this approach allows us to develop and execute the most effective investment plans for each asset to ensure they meet and surpass partner and investor expectations. Our in-house team of property management experts oversees all aspects of building operations, with a unique set of objectives specific to each building and a focus on ensuring each property is maintained to the highest standards, with exceptional levels of responsiveness and efficiency. From concept and planning to completion and analysis, we ensure thorough coordination and rigorous attention is given to all facets of a project, through a dedicated approach that carefully aligns clients’ needs with their business objectives. 270 Lafayette Street is a 170,000 square foot, 12-story office building located on the corner of Prince and Lafayette Streets in SoHo, New York. The property was a historic printing building that was converted into a multi-tenant office building that housed mostly small-sized companies. Cogswell itself purchased the property in 1996 through a combination of privately raised equity and acquisition financing from Lehman Brothers Holdings Inc. We forged on with the repositioning project started prior to purchase, by installing new elevator mechanicals and passenger cars, adding a Class E fire alarm system and refurbishing the lobby. Many of the existing leases with the viable remaining tenants were restructured and the remaining vacant leased up. The National Newark Building is one of the most recognized buildings in the Newark skyline. This 34-story, 640,000 square foot neoclassical masterpiece was one of the country’s first skyscrapers and New Jersey’s tallest commercial tower. After falling into a state of disrepair in the 1960s, Cogswell acquired the building in 1997 and undertook a significant redevelopment beginning with a $60 million rehabilitation program and a rigorous leasing strategy. As a result of the redevelopment of this landmark, The National Newark Building has been preserved as an architectural icon in the Newark area and is listed on the National Historic Register. 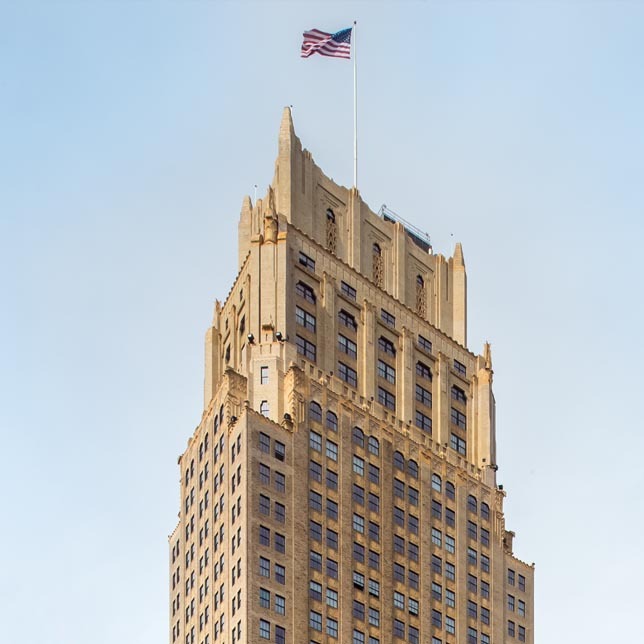 Additionally, Cogswell’s vision and execution restored The National Newark Building to its original moniker of the “Crown Jewel of Newark” and resulted in the successful leasing of over 400,000 square feet of space. 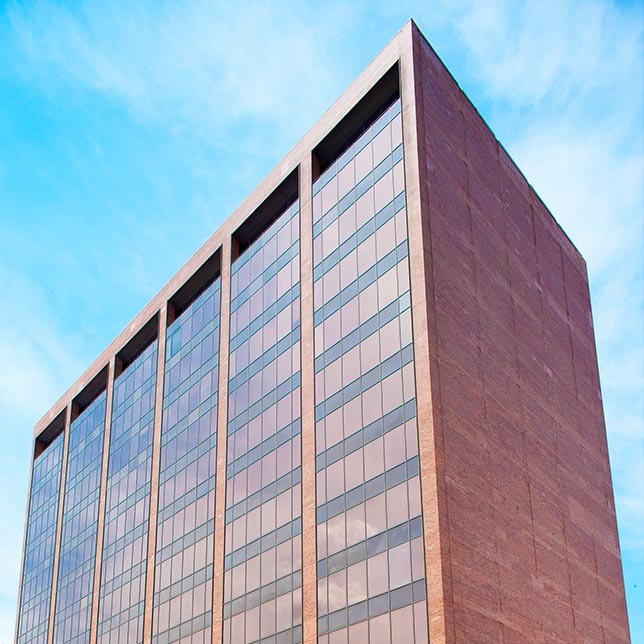 765 Broad Street is a 7-story, 215,000-square-foot commercial office building centrally located in Newark’s Central Business District directly across the street from the National Newark Building and three blocks from Newark Pennsylvania Station. The building underwent a substantial renovation in 2002, which included a completely renovated lobby, modernized elevators, installation of an ADA entranceway, new restrooms and upgrades to the building HVAC and life safety systems. The Hahne Building is a 4-story, 400,000 square foot brick building that was built in 1899 for the Hahne and Company Department Store. The property has been vacant since Hahne and Company officially closed the store in 1986. Directly adjacent to the Hahne Building sits the Griffith Building, a 16-story, 77,000 square foot gothic brick building built in 1927. During its heyday, the building was the headquarters for the Griffith Piano Company, who used the building for its factory, office space, a recital hall and as a showroom. Cogswell purchased the properties in 2003 through a joint venture partnership. Plans were developed for the creation of over 550 residential units, comprising a mix of luxury condominiums and market rate rental units, as well as approximately 90,000 square feet of retail space and parking for 350 cars. Although Cogswell exited the investment, its development plan and vision for the site is being carried forward by the new owners. The site, situated on 82 acres, is in Great River (Township of Islip) on the South Shore of Long Island, New York. The three interconnected buildings, constructed separately during the 1970’s and 1980’s, were known as the Long Island Business and Technology Center during Cogswell’s ownership period. Cogswell purchased the property in August 1998 in partnership with Rudin Management Company and Lehman Brothers . An interior gut renovation of the former light manufacturing and office site for Grumman ensued, consisting of 100,000 square feet of pre-built offices, new lobbies and common hallways, a new cafeteria, a state of the art digital conference center complete with video conferencing and a $3 million fiber optic connection constructed jointly with Keyspan. The partnership’s business plan called for the conversion of all three buildings into a world class technology center/campus targeting the needs of Long Island’s growing technology industry. Being located just south of Computer Associates, the Hauppauge technology corridor, west of Symbol Technologies and south of Stony Brook University, the LIBTC was positioned geographically to augment Long Island’s technology corridor. After the technology bubble of 2000, the LIBTC was rebranded again to accommodate general business and educational tenancies. In total, the partnership repositioned over 280,000 square feet of modern office space. The original site plan allowed the partnership to build additional buildings totaling one million square feet on the surplus acreage and the partnership recognized the inherent value of the real estate for residential development. In spite of the collapse in the technology sector at the time of ownership, the partnership’s ability to quickly adapt to the changing market environment resulted in a satisfactory exit. Golden Bear Plaza is a 250,000-square-foot, three-building commercial office complex. It is located on a 10-acre site along US Highway 1, just one block north of PGA Boulevard within the City of Palm Beach Gardens. The complex was constructed in phases between 1985 and 1989 and derived its name from professional golfer, Jack Nicklaus (the Golden Bear), whose company, Golden Bear International, has been a tenant at the property since its original development. Cogswell purchased the property in 1997 in partnership with Barrow Street Capital and The Travelers Insurance Company and held for 5 years before being sold in 2002. In 2002, Cogswell acquired a diverse portfolio of properties situated within a four-square block area of Newark’s Central Business District, consisting of small retail and office properties, parking lots and vacant parcels. A master plan for the site was developed to include over 3,200 apartments, 200,000 square feet of retail space and over 1,750 parking spaces. Although the portfolio was sold prior to redevelopment, the master plan for the site served as a catalyst for Newark’s The Living Downtown Redevelopment Plan, which was enacted in 2008, and remains the guiding principle for future development in Newark. Cogswell, through a joint venture with Barrow Street Capital, purchased the two properties in April 1998 from a partnership of Lehman Brothers and Lennar Properties. At the time of purchase, the entire 450,000 square feet of properties had six years remaining on a triple net lease by Alloy Rods Corporation, a subsidiary of ESAB Welding, a global leader in the production of welding consumables and equipment, for use as manufacturing, office and research facilities. The property was also beset with several environmental conditions requiring immediate corrective action. Within six months of acquisition, the partnership had secured a “No Further Action” letter from the State of Pennsylvania and a five-year lease extension from ESAB. The properties were sold later that same year at a profit for the partnership. 875 Washington Street (formerly 430 West 14th Street) underwent a rebranding campaign after its purchase by our client in December 2012. Upon acquisition, we were retained to provide property management and project/ construction oversight services for this 5-story, 62,000 square foot office/showroom and retail building in the heart of the Meatpacking District. In late 2012, our client purchased this 5-story, 43,000 mixed-use building in the heart of SoHo. Since its acquisition, we have utilized our property, asset and project management teams, as well as our Lee & Associates NYC office leasing team, to help reposition this premier Soho cast iron property. We manage this 16,000 square foot mixed-use building in the heart of Union Square and are currently working with ownership to reposition the asset to construct additional square footage. Located in the heart of New York’s Financial District, we manage this 6,200 square-foot condominium retail space for the owner. In preparation for the leasing of the space by our client, we oversaw the complete demolition and white boxing of the space, as well as the installation of a new storefront to include larger clear glass openings and new entranceways. We also obtained NYC Department of Buildings approval for the installation of new LED exterior signage. The four-story, 20,600-square-foot property at 61-63 Crosby Street, in SoHo, is currently vacant and slated for conversion from a residential cooperative apartment building into office space with a ground-floor retail use. In March 2015, tour client purchased a 16 mixed-use property portfolio comprising most of a 2 square block area (North 6th Street to Kent Street to North 7th Street to Wythe Street) in the heart of Williamsburg, Brooklyn. Cogswell was, again, engaged to manage the day-to-day operations and consult with ownership for plans for this future development site. Our client recently purchased these two adjacent buildings, totaling over 130,000 square feet of retail/office space on a prime corner in the emerging 125th corridor. In 2015, Cogswell Lee Development purchased the site at 148-150 Rivington Street in partnership with Gluck+ Architects. Ideally located in the heart of Manhattan’s Lower East Side – a burgeoning neighborhood home to some of the city’s top boutiques, art galleries and restaurants – the corner property is being transformed into 45 thoughtfully crafted one- to three-bedroom modern luxury residences with flexible living space, tech-savvy amenities and a unique facade. The residences at 150 Rivington range in size from 543 square feet to more than 1,600 square feet. One-bedrooms start at $995,000; two-bedrooms at $1.695 million; three-bedrooms at $2.75 million; and three-bedroom penthouses at $3.8 million. Of the 45 homes, four will be penthouses with 12-foot-plus ceilings and dual outdoor space – one adjacent to the living space, and the other on the roof. Residences are currently expected to be delivered in the fourth quarter of 2018. As a further indication of the success of the synergies created by our broad platform and affiliated companies, this acquisition was an off-market opportunity sourced by a senior broker of Lee & Associates NYC. Cogswell sourced, underwrote and structured the acquisition of 345 Carroll Street, which was the former Regency Carts building. In partnership with Sterling Equities and one of New York’s leading private equity real estate funds, the site was redeveloped into 32 unique homes, 18 of which have private outdoor spaces. Designed by Gluck+ Architects, the building is comprised of a mix of two to four-bedroom apartments, including garden duplex homes and multi-story penthouses ranging in size from 1,200 SF to 3,000 SF. 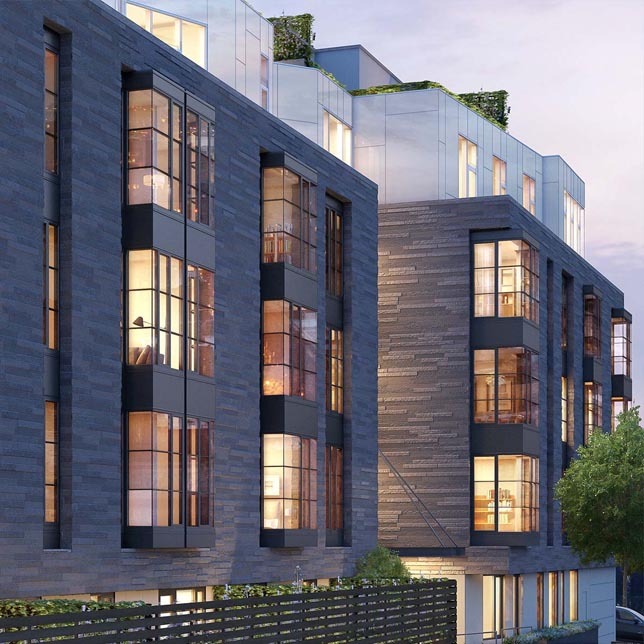 Upon completion, it will be Carroll Gardens’ first full service residential building, with on-site parking, attended lobby and an amenity offering unparalleled in the submarket. Sales are completed and the site is presently under development with an expected opening in the summer of 2016. 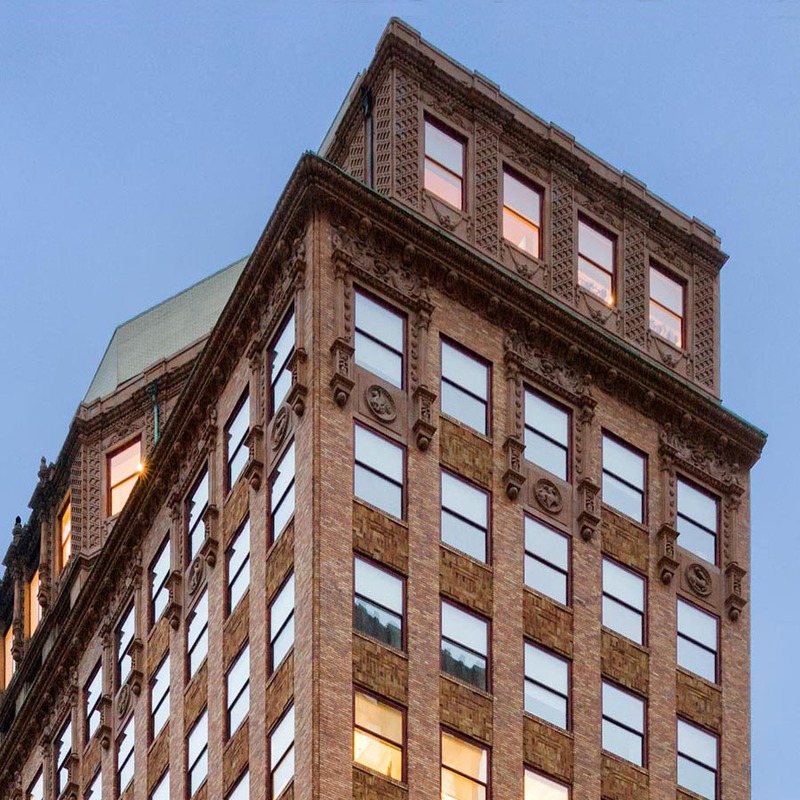 In September 2014, in partnership with Tishman Speyer, Cogswell Lee Development purchased 183 Madison Avenue in an off-market transaction - a 19-story, 274,413 SF art deco office property located on the southeast corner of Madison Avenue and 34th Street. This was the first acquisition under the Cogswell Lee Development brand. 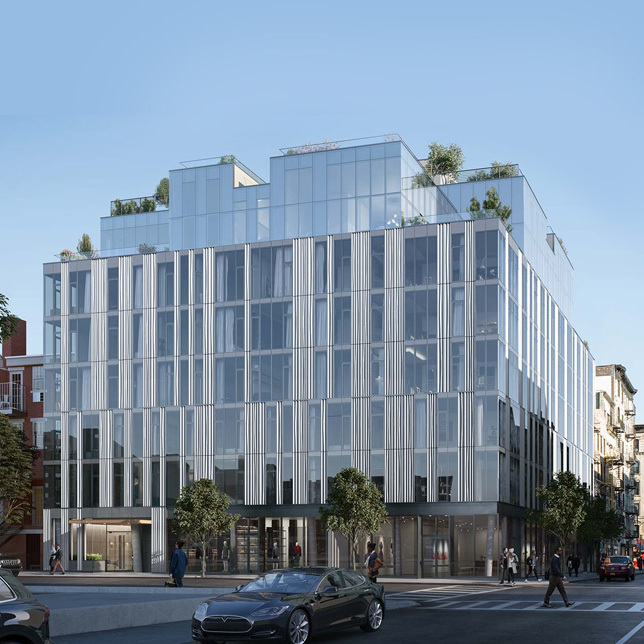 Underwritten by Cogswell Lee Development and fully vetted with comprehensive due diligence gave us the capability to attract Tishman Speyer and lead to the successful closing. Known as the Madison-Belmont Building, 183 Madison Avenue was completed in 1925 for the Merchants & Manufacturers Exchange of New York as an office and showroom space for the silk industry. Today the building’s tenant profile was diversified to add more technology, advertising and media businesses resulting in a 94% occupancy rate. 55 West 125th Street, located between Fifth and Lenox Avenues in the heart of Harlem’s commercial business district, was constructed in 1972 and contains 232,000 square feet of commercial office space. During the 1990’s, the building was privately-owned and had alienated most tenants through inadequate maintenance and management. This represented an opportunistic investment for Cogswell in an emerging market. In September 1998, Cogswell acquired the property and embarked on a $10 million capital improvement program, including an elevator modernization, mechanical upgrades, overhaul of the life/safety systems, and a complete renovation of the lobby. These enhancements, along with an aggressive leasing campaign, soon led to a 100% occupancy level. After repositioning and stabilizing this property, Cogswell recapitalized the buildings in 2006 with The City Investment Fund. As City Investment Fund wound down its fund in 2015, the partnership recapitalized with RREEF America, an affiliate of Deutsche Asset Management. Notable tenants include the Offices of Former President William Jefferson Clinton and several other federal and local governmental agencies. 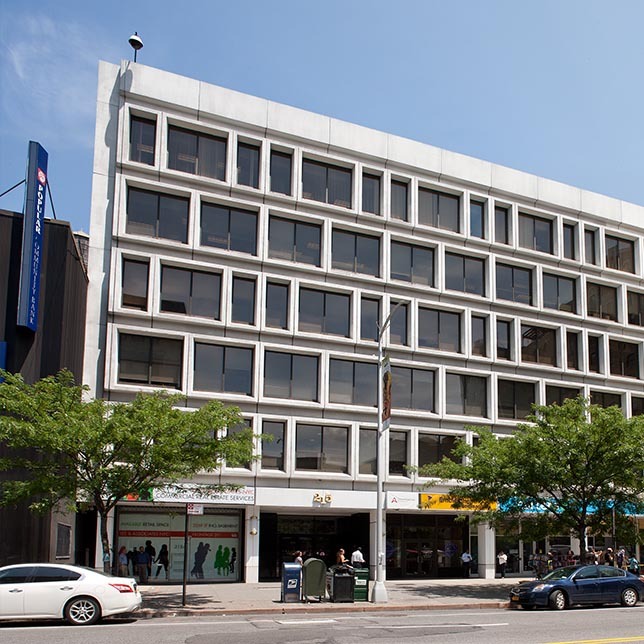 In November 2000, Cogswell was presented with another opportunity in Harlem - 215 West 125th Street, a 164,000-square-foot commercial office building, several blocks from 55 West 125th Street and just steps away from the renowned Apollo Theater. After the building’s sole office tenant, the City of New York, vacated, the property was in need of an overall repositioning and accompanying program, an endeavor the existing owner had neither the expertise nor the means to execute. In an off-market transaction, we closed on the acquisition and invested $9 million towards capital and tenant improvement projects. As we repositioned the property, we were able to reach occupancy levels of nearly 100%, attracting such tenants as Columbia University, The State of New York and Bank of America. This property is held in the same partnership as 55 West 125th Street as part of the same recapitalization with City Investment Fund and RREEF America. In 1998, Cogswell, through a joint venture partnership, purchased 1180 Raymond Boulevard, a 1930 Art Deco property designed by Frank Grad. The building had remained vacant and in severe disrepair for more than 20 years. Upon purchase, Cogswell immediately assessed the redevelopment possibilities for the property, recognizing the potential of downtown Newark not only as a Class A office destination, but also as a mixed-use residential community based on its superb transportation infrastructure and close proximity to New York City. This, coupled with the building’s relatively small and inefficient floor plates, which were not conducive to today’s modern office users, made the property more suitable for residential conversion. Cogswell believed that the property could be redeveloped to fill a void for much-needed quality housing in downtown Newark. 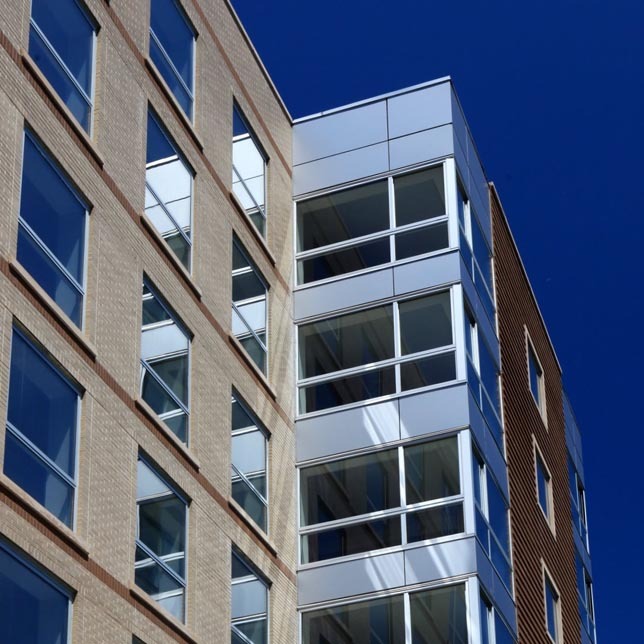 Knowing that we would have to deliver a quality product in order to attract residents to downtown Newark, resident amenity spaces with upgraded finishes were created on the concourse level and second floor. Each of the 317 apartments received high-end finishes along with spacious layouts that took advantage of the high ceilings and large, oversized windows that provide both abundant natural light and dramatic city views. An aggressive and successful marketing and leasing program followed as the building opened in 2006. Ultimately, the development of Eleven80 created the first new market rate residential property in Newark’s Central Business District in over forty years. Our partnership’s entrepreneurial investment in downtown Newark paved the way for other successful projects that now contribute to a flourishing downtown Newark, including numerous restaurants, bars and retail stores. As evidenced by Eleven80’s receipt of the land use industry’s most prestigious recognition program, the Urban Land Institute’s 2008 Award for Excellence, Eleven80 is a replicable model for cities interested in invigorating their downtowns through historic preservation and adaptive reuse. Eleven80 was also awarded the New Jersey Apartment Association’s Best Property Renovation in 2006 and the 2008 Smart Growth Award from New Jersey Future. Our management and leasing efforts at Eleven80 have set a new standard in the City of Newark, as the property demonstrates our vision, diligence and significant redevelopment and project management skills in reviving the deeply distressed assets. The revitalized Art Deco tower has now set the groundwork for a broader renewal of the Newark’s residential market. In 2010, Cogswell developed and constructed this 7-story building containing 46 market rate cooperative apartments ranging from studio to three bedroom units. The property is situated in the heart of Harlem on the southwest corner of 127th Street and Adam Clayton Powell Jr. Boulevard. The residences offered efficient layouts, ample closet space, 8’9” to 9’ ceilings, and hardwood flooring. Kitchens were equipped with state-of-the-art appliances and bathrooms offering exquisite fixtures and marble finishes. Amenities included a doorman, resident manager, fully equipped fitness center, a resident lounge with an outdoor terrace and basement storage. The building also featured ground floor retail space and a parking garage. 2130 ACP was positioned to offer luxury market rate residential units in the Harlem sub-market. 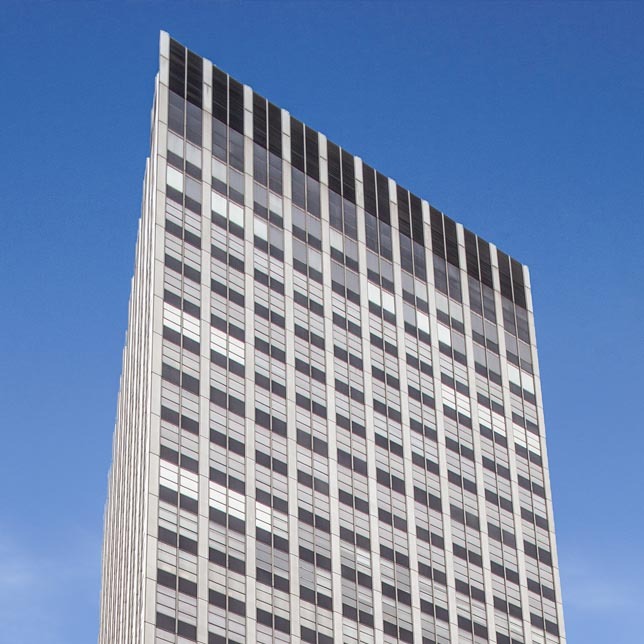 Situated in the heart of New York City’s Financial District, 60 Broad Street is a one million-square-foot Class A office tower located just steps from the New York Stock Exchange. The near-vacant building required the prior ownership to implement a massive capital improvement program in order to attract tenants. Upon acquiring the property in 2000, Cogswell immediately assumed the property management and leasing responsibilities, and oversaw the completion of the capital improvement program. Through a dedicated tenant relations effort, the implementation of a strategic plan to create additional leasable space in the building, and a diligent leasing and marketing campaign, Cogswell enabled the building to achieve consistently high occupancy levels, and significant and meaningful returns for its partners/investors throughout our ownership period. In December 2003, the partnership sold the asset to Piedmont Real Estate Trust. Piedmont retained Cogswell as the management and leasing agent for the property until 2015.